Fed is Ending Stimulus: Did Money Printing Help the Economy? Home » Can the Fed Really End our Financial Opiate? Can the Fed Really End our Financial Opiate? Quantitative Easing, also known as “money printing,” is widely believed to lead to inflation and to be responsible for the recent stock market highs. The Federal Reserve’s economic stimulus program known as Quantitative Easing is scheduled to end next week. Most analysts believe that despite reports of a global economic slowdown and the dual threat of a stronger dollar, the Federal Reserve will most likely stick to the arrangement and lift the program. Meanwhile the stock market has experienced a number of dives lately, causing many investors to turn to gold as a safe haven; gold on Tuesday reached a six-week high. To help the ailing economy in the wake of the recent global financial crisis, the Fed first lowered short-term interest rates by buying short-term government bonds, its usual way of trying to boost spending. But this wasn’t enough, and in late November 2008 the Fed started a new policy [Quantitative Easing] that involved buying mortgage-backed securities and Treasury notes. 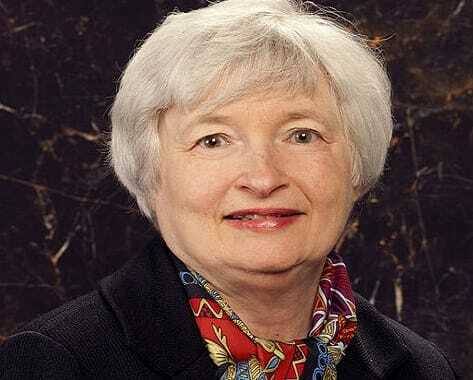 The economy didn’t recover, so the Fed announced a second round of Quantitative Easing – QE2. And now we have QE3 program that started with buying $40 billion of assets every month, reaching $85 billion a month before the Fed started to reduce its purchases by $10 billion at every meeting. Many analysts aren’t sure how effective Quantitative Easing has been. The stimulus is often referred to by politicians and journalists as “printing money,” and it’s widely believed to lead to inflation and to be responsible for the recent stock market highs. Some financial experts even believe that QE helps the rich get richer at the expense of the poor. Regardless, there are some hints that the Federal Reserve will delay the ending of the program. Fed official James Bullard surprisingly suggested last week that the bond buying should continue after its scheduled end. If the uncertainties of the volatile stock market, the slowing global economy, and Federal Reserve policies are making you uneasy about your cash, you might want to consider buying some gold as a safe haven asset. Historically, gold has been used as a store of value, and it is a currency that cannot be manipulated by government policies. Order our free investment kit to learn more about investing in precious metals. For more breaking news about the market of gold and the overall economy, you can follow us on Twitter.